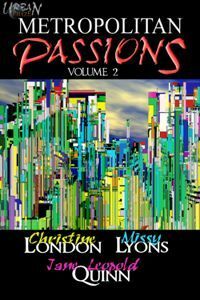 You’ve loved Christine London’s electronic romances in the past; now she’s available on paper, too! !Included in this anthology are three talented writer’s – Missy Lyon’s with a tale of infidelity and death, Jane Leopold Quinn, who regales us with an interrupted love-at-first-sight story, and our own Christine London. Nestled on these printed pages appears her Before You Say Goodbye, previously only available electronically, about Aussie Internet entrepreneur Benn Morrison and Aubrey, a Californian mystery writer with a case of mistaken identity, intrigue and love.